Current version of jTree written in pure jQuery with backened api in pure php for saving and loading data in database. You can easily translate api in any language to extend its support in any platform or framework you are using. 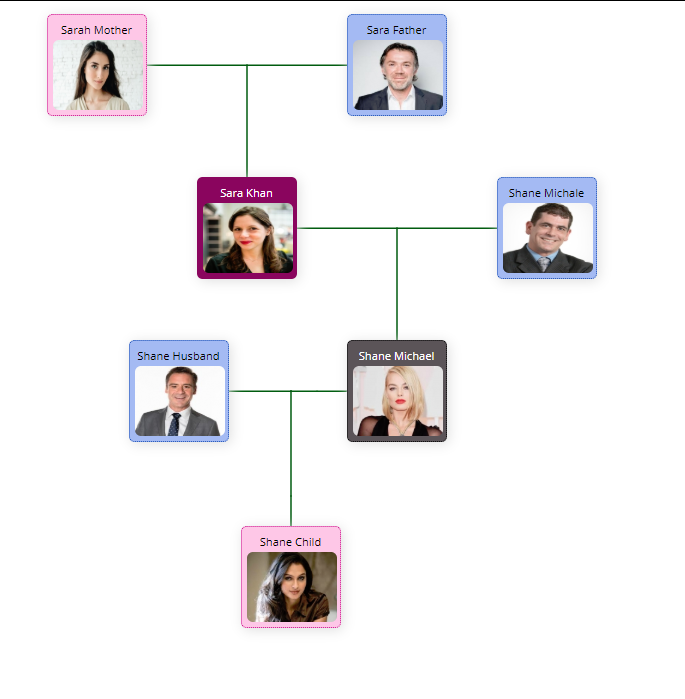 It's not a complete solution but can act as a starter kit for building any level of family tree maker solution. Its fully customizable if you can work in jquery and have knowledge of sending and receiving data to jQuery. jTree support filling complete biodata for each member within tree. It included support for main information. However you can customize it by adding more attributes and functionality. jTree support relationship management. You can add family member by using any of list relationship listed below. jTree support loading family tree in both editable and readonly mode. User can't edit information of tree as well as tree member within jTree if loaded as readonly mode. 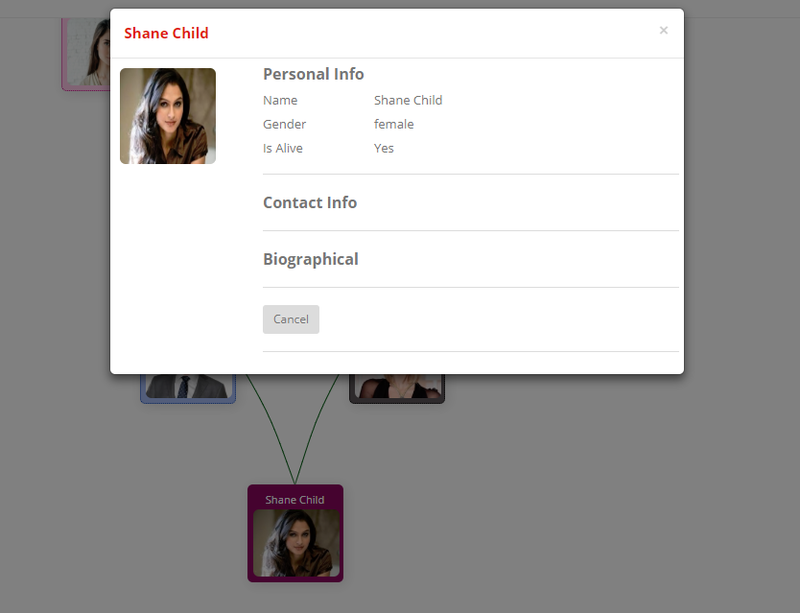 You can customize it by adding more control on how each tree information to be edited by currently logged in user. It support marking any tree as private or public. Private tree can only be available / accessble by author while Public tree can be available to public. It support saving tree information, all tree nodes, each tree node location and other relationship information in backened database. It can also allos you to reload complete tree back to original view from data saved in database. It also allow you to generate list of family trees saved in database. e.g My Trees with option to delete tree. You have complete control on whole UI customization of jTree.